Save by pairing your accommodations and airfares. Expedia has some amazing Kea holiday packages that'll save time and give you more money to splurge! Would you like to earn savings up to 15%*? Get your travel package on Expedia today! Click through our intercontinental database of more than 400 airline partners and 321,000 worldwide properties. Too many to select from? Don't stress — we can help you decide! You don't have to worry about altering your group's plans, as we don't charge additional cancellation fees for almost all of our hotel bookings. Getting ready to jet off on your Kea holiday? Not sure what things to add to your travel schedule? Don't stress — we'll give you a few of our recommendations. Now we know that you might find the idea of going to see some rocks a little uninteresting. But rest assured, Kea Lion isn't just any old pebble. Stop by this impressive natural structure and take in its splendour. Still have time on your hands? Itching to delve into the everyday stories of human history? Enjoy an interesting insight into societies of yesteryear at Archaeological Museum of Kea. Locating a great place to stay is often the key to the ideal luxury getaway or cheap holiday. 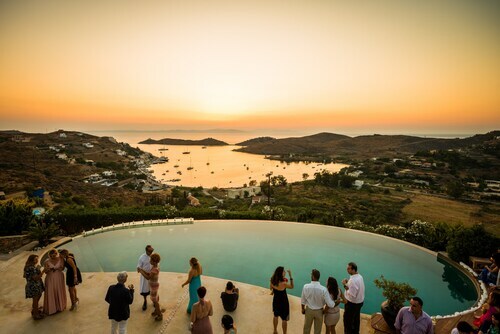 With only 5 properties in Kea, it's advised that you book as soon as your dates are confirmed. The Porto Kea Suites (Aghios Georgios Korissias) and the Holiday Rooms (Otzias) are among the nicest properties to be found on the island. Preparing for your trip to Kea? Wondering where you'll be flying into? Eleftherios Venizelos Airport (ATH) is your closest option. Once you've hit the ground and departed the arrival gate, you'll be 30 miles (48 km) from all the main streets. Situated in Kea, this villa is within a 15-minute walk of Archaeological Museum of Kea and Kea Lion. Kea Port and Saint George Church are also within 6 miles (10 km). 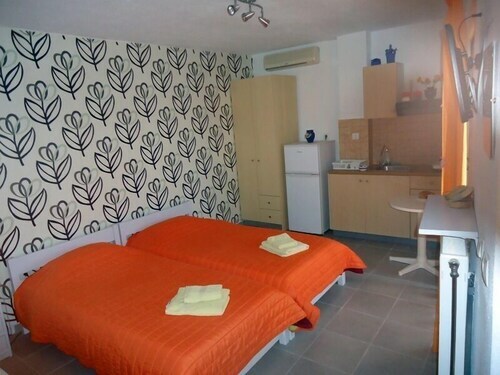 Situated near the beach, this aparthotel is within 1 mile (2 km) of Gialiskári Beach and Saint George Church. Kea Port and Agios Nikolaos Lighthouse are also within 2 miles (3 km). Nestled on the beach, this Kea aparthotel is within a 10-minute walk of Saint George Church and Gialiskári Beach. Otzias Beach and Kea Port are also within 3 miles (5 km). Situated in Kea, this holiday home is 0.9 mi (1.4 km) from Otzias Beach and within 3 miles (5 km) of Gialiskári Beach and Saint George Church. Agios Nikolaos Lighthouse is 3.1 mi (4.9 km) away. 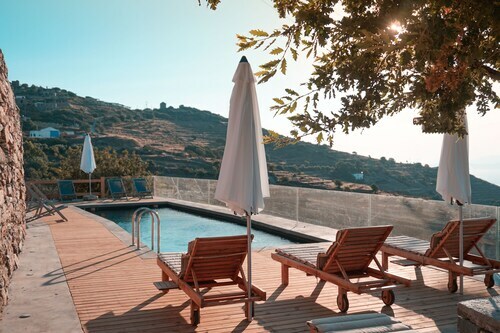 Situated by the sea, this hotel is 0.5 mi (0.7 km) from Koundouros Beach and within 12 miles (20 km) of Archaeological Museum of Kea and Kea Lion. Gialiskári Beach and Agios Nikolaos Lighthouse are also within 12 miles (20 km). 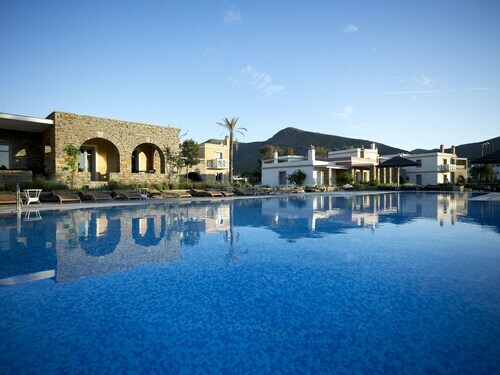 This family-friendly Kea hotel is located by the sea, within 2 mi (3 km) of Gialiskári Beach and Agios Nikolaos Lighthouse. Saint George Church and Otzias Beach are also within 3 mi (5 km). 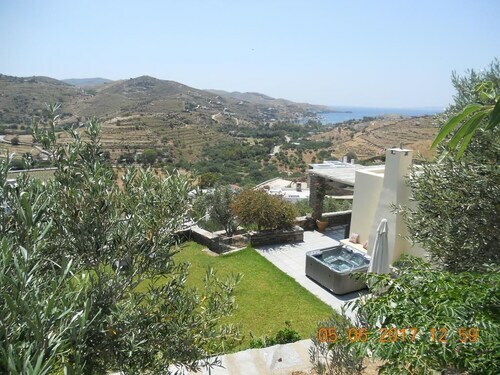 Situated in Kea, this holiday home is 1.3 mi (2.1 km) from Archaeological Museum of Kea and 1.8 mi (2.9 km) from Kea Lion. Spathi Beach and Kea Port are also within 6 miles (10 km). 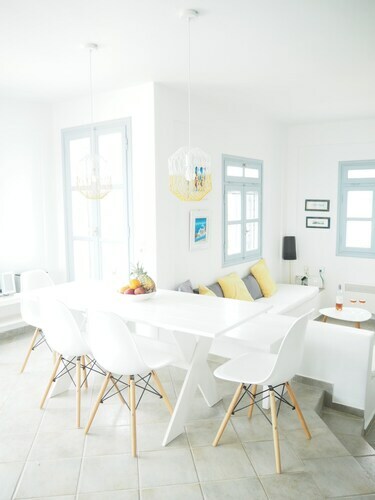 Situated in Kea, this holiday home is within 2 miles (3 km) of Gialiskári Beach, Agios Nikolaos Lighthouse and Saint George Church. Otzias Beach and Kea Port are also within 3 miles (5 km).